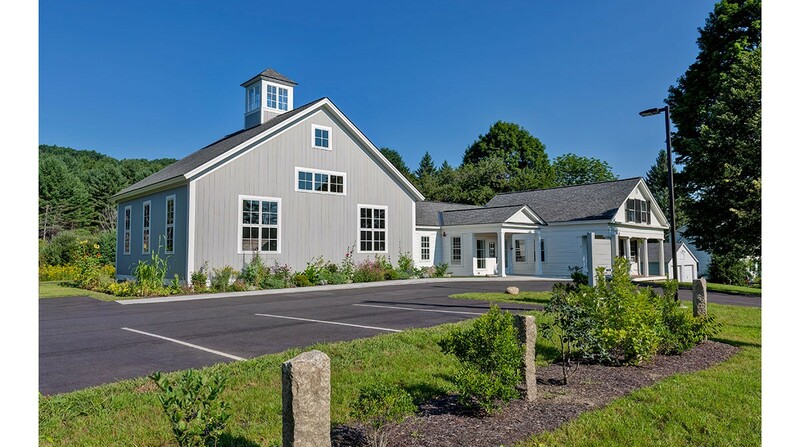 An historic Greek Revival farmhouse provided an administrative base for the congregation while the location of services moved around the Upper Valley. 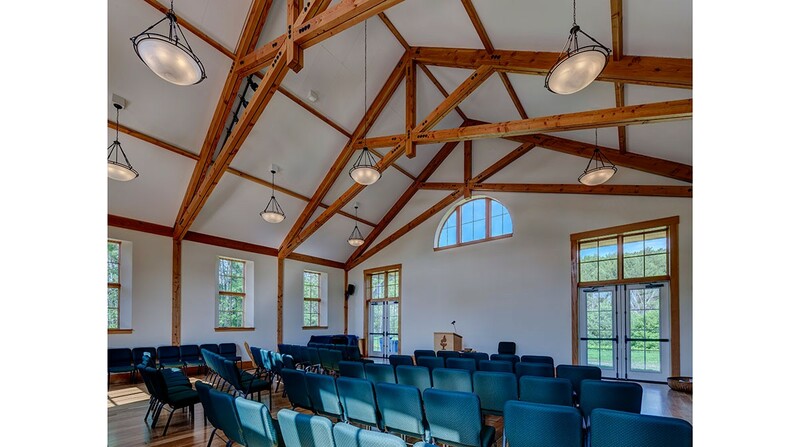 The decision to return worship services to the farmhouse reinvigorated the congregation and there was a clear need for an expanded meeting house. 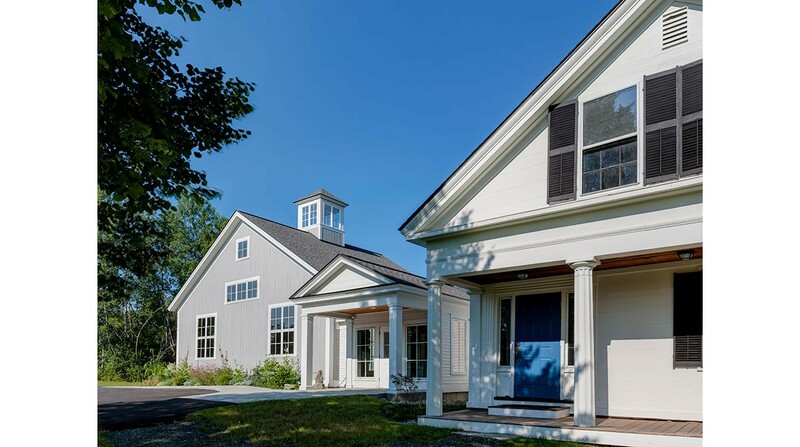 The addition was modeled on the classic New England extended farmhouse, ell and barn. 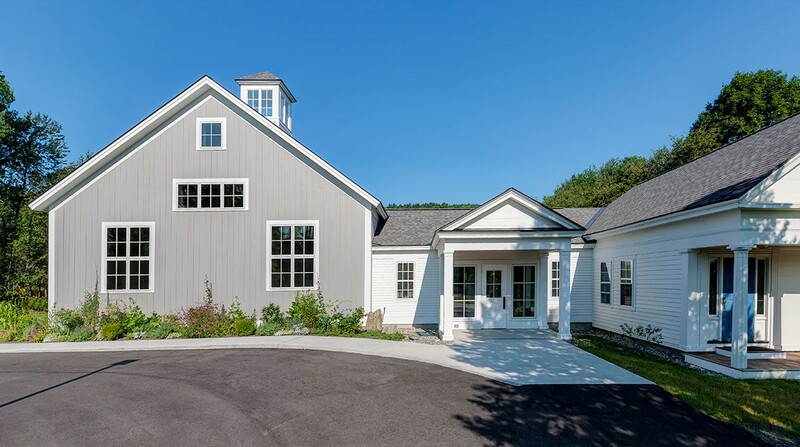 The renovated farmhouse serves as administrative, meeting and educational space, the ell provides entry, bathrooms and kitchen and the barn serves as sanctuary space seating 120. 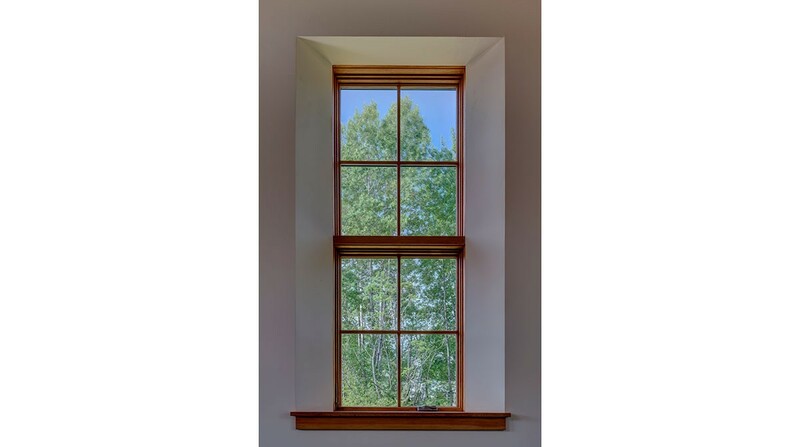 High window sills shield the congregation from the road while glazed doors lead to an event lawn and provide views of the forested hillside. 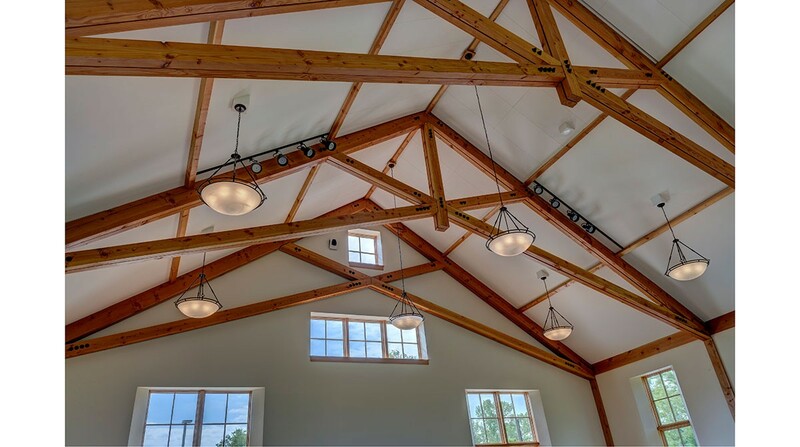 Fir trim, timber trusses, and oak floors bring a warm tone to the spare, light filled volume. The sanctuary acoustics were designed to optimize speech and music. 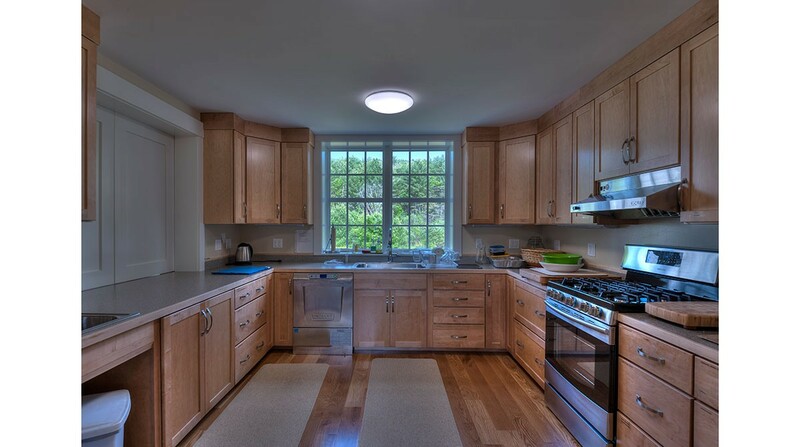 Superior levels of insulation and air sealing, triple glazing and future photovoltaic panels minimize operating costs and are intended to bring the building close to net zero energy use. 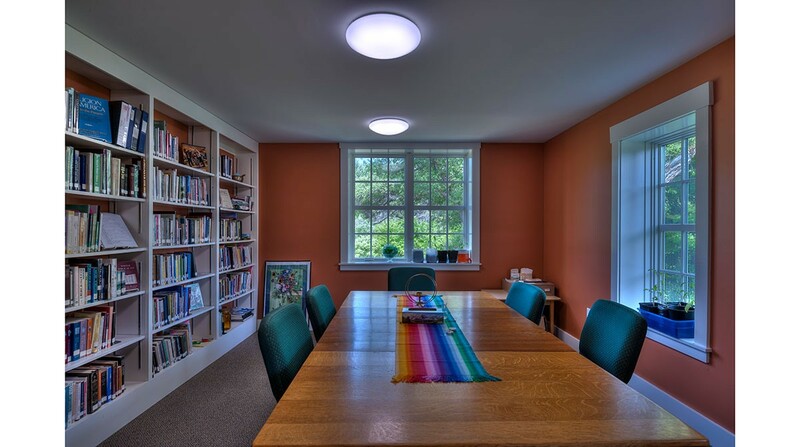 Spare detailing, respect for the historic farmhouse and commitment to environmental goals reflect the values of the congregation.